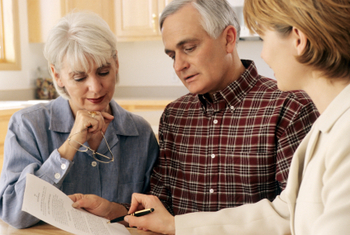 What is an Advance Directive (or Living Will)? Helping someone prepare for end-of-life medical decisions can be of great comfort to both the person and to others in his family. The document that helps you do this is an advance health care directive, or living will -- what it's called and what it includes depends on where the person lives -- sometimes paired with a power of attorney for health care. For information about how to set up an advance health care directive or living will, see Advance Health Care Directives and Living Wills: A Step-by-Step Guide . Such a document is important because, given a medical situation in which someone can't speak for himself -- anything incapacitating, from a short, temporary condition to a long terminal illness -- it lets medical providers and other decision makers know his preferences, and it can authorize someone to speak on the person's behalf. Without an advance health care directive or living will, patients who can't communicate may be left to the confused decisions of squabbling family members or the mercy of doctors who might use artificial means to prolong life, or refuse to do so, regardless of what the patient would want. An advance health care directive is the primary legal tool for protecting a person's healthcare wishes if and when he can't speak for himself. The health care directive applies any time the person is unable to communicate, whether or not the situation is life threatening, and for however long is necessary. Examples are a patient's temporary condition after an incapacitating stroke or his chronic state during the long-term, late stages of Alzheimer's disease. An advance health care directive can set out the person's wishes regarding the specific care he or she does and doesn't want, and it can appoint someone -- usually a close family member -- to supervise that care or to make decisions for him when he's unable to do so. An advance health care directive would not override the person's direct control over his care as long as he can still speak for himself. What is an advance health care directive supposed to accomplish? Advance health care directives come in several varieties and go by several names, depending on the state where a person lives. Advance health care directive is the general name for all these documents. Some of the other names for particular documents are advance directive, living will, health care declaration, medical power of attorney, durable power of attorney for health care, and patient advocate designation. The person can set out the specific types of healthcare -- usually including artificial life-prolonging care, artificially administered food and water, and comfort care -- that he does and doesn't want. In most states, this care can be specified if the person is either close to death from a terminal condition or considered permanently comatose. This clarifies things not only for family but also for medical providers, who are bound by law to follow the patient's wishes or find another provider who will agree to follow them. The person can name someone to act on his behalf in making healthcare decisions when he can't do so himself. This designated agent, who's given legal power to act by the document, can make sure that the patient's wishes are carried out and can make any other healthcare decision that wasn't specified in the document. Which documents does someone need to ensure his medical wishes are followed when he's incapacitated? Ideally, a person will achieve two separate goals, no matter what documents are used. He can spell out specific instructions and name someone to speak on his behalf. This might be accomplished in one document, or it might take two. The possible need for extra paperwork is that some documents, usually those called living wills or health care declarations, just set out the individual's specific instructions. They spell out the care he does or doesn't want if he's terminally ill or permanently unconscious, usually with particular attention to end-of-life decisions such as resuscitation and artificial prolonging of life. The problem with relying solely on such a document is that it can't anticipate every possible medical scenario. Also, it doesn't grant any particular person the authority and responsibility to make sure that the person's wishes are actually followed. Consenting to or refusing any medical treatment or diagnostic procedure related to physical or mental health, including artificial nutrition and hydration. Hiring and firing medical providers. Admitting to and discharging from hospitals and long-term care facilities. Giving directions regarding organ donation. However, these power-of-attorney documents don't always include descriptions of what specific medical care someone does and doesn't want. This leaves room for arguments among family members and doctors, even though the person named in the document has the last word. In most states, an advance health care directive permits the patient to accomplish both goals in a single document. In other states, he might need two separate documents. What if the patient can't decide on an agent? Perhaps the person has a very clear idea of what type of life-prolonging or comfort care he would want toward the end of life, but he's hard-pressed to come up with a trusted person to name to supervise that care. In such a case, encourage him to go ahead with expressing his wishes for care in writing in a directive -- even if he has to forgo naming an agent. While this method isn't optimal, in such a case medical personnel would still be legally bound to follow the written wishes for care -- or find another doctor or hospital willing to carry them out. On the other hand, the patient may not be sure, right now, exactly what medical procedures he would or would not want to undergo in the future. But he is ready to name an individual to oversee his medical care if he becomes unable to express his wishes -- someone who knows his mind and will lobby for that care even when up against an unwilling medical establishment. In such a situation, encourage him to take the step of naming the healthcare agent while skipping the other step of setting out detailed wishes for medical care. That will ensure that one specific person will be authorized to supervise his care, rather than leaving medical decisions up to the whims of a particular doctor or hospital policy. How should someone choose an agent? First, know the rules. In many states, the patient's doctor can't be named the patient's agent in an advance health care directive. In any case, it's a bad idea to name a doctor. Instead, the patient should select someone trustworthy and loyal who, above all else, knows his wishes and can discuss them with him and with others. This, of course, requires that person's willingness and ability to talk openly with the patient about dying and death. Ideally, the agent should be someone who can be physically present or easy to reach when the patient needs to have healthcare decisions made. And the agent should have a strong enough personality to make sure that the patient's wishes are followed -- someone who can't be bulldozed by family members or by doctors. The patient should name only one agent, not two. This avoids disputes. But he should name a successor or alternative agent, particularly if the agent is also elderly -- for example, if a husband chooses his wife as the initial agent. The alternative agent will serve if the first-named agent also becomes incapacitated, dies, or is otherwise unable to serve. Where should the completed advance health care directive be filed? Each of the patient's regular doctors (request that it be made part of his formal medical record). The named agent and successor or alternate agent. The patient's lawyer (even if the lawyer didn't prepare the document). Any healthcare facilities where the patient will be treated. Close family members (or close friends, if the person desires). The patient can also keep a note in his wallet stating that an advance health care directive exists and giving contact information for any agent who's named.